All good things must come to an end to make way for BETTER things to happen… Because the BEST BQool Feedback Central update is here! We’re thrilled to introduce you a brand-new Feedback Central. 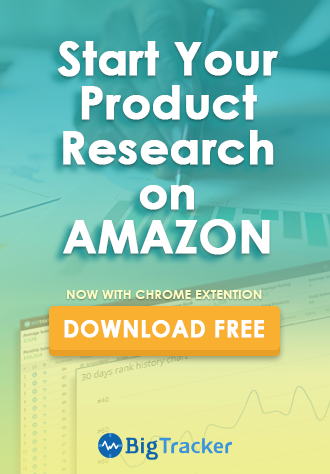 This update is a step closer to our goal to provide the top Amazon automated email tool just for you. 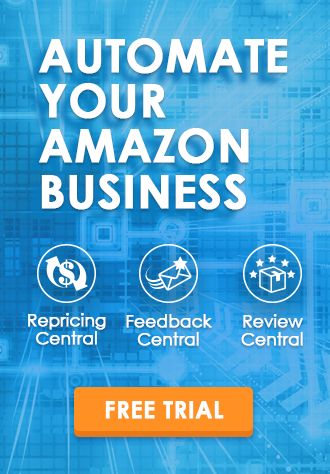 BQool Feedback Central is now enhanced with AI technology that will help Amazon sellers to get feedback and product reviews more effectively. The latest implementations include AI-Powered Email Subject that can automatically find the most optimal email subject for different types of customer segmentation and AI-Powered Smart Schedule that enables the most optimal email scheduling for each campaign, so all emails can be delivered on the most ideal time. With this major update, you can optimize emails to get the better open rate and maximize the opportunity of soliciting more feedback and product reviews with each email without the frustration of A/B testing email campaigns. In addition, if you are selling products to EU customers, you will need a reliable Amazon VAT invoice generator to easily create, send, and track VAT invoices. Our easy-to-use VAT invoice generator can quickly generate VAT invoices and will automatically send them to your EU customers by fulfillment type. This feature dramatically alleviates time-consuming administrative tasks. With BQool’s new Feedback Central, you can accomplish your goals while saving you time and money, and most importantly, get as many customer feedback and product reviews as possible! 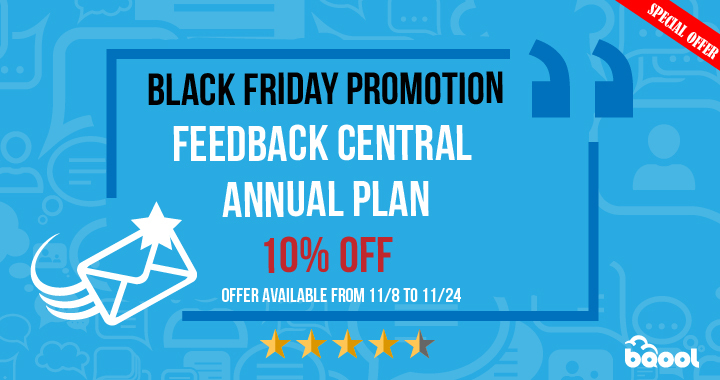 Enjoy an EXTRA 10% OFF on top of 10% Feedback Central Annual Plan discount! 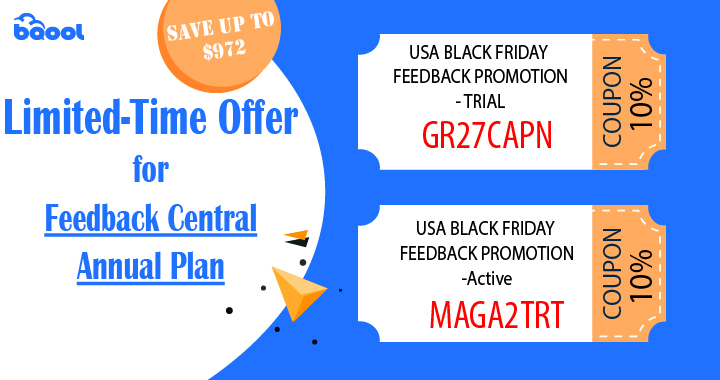 Now that is a WHOOPING 19% off when you purchase any Feedback Central Annual Plan! Don’t delay! 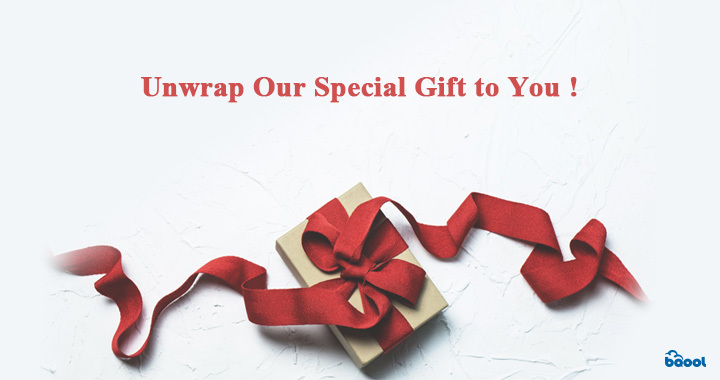 Let AI-Technology drastically improve your chances to get more product reviews and feedback in this holiday season! If you haven’t tried Feedback Central before, use this promo code GR27CAPN to get an instant 10% off your annual subscription plan. If you are a monthly subscriber, you can use the code MAGA2TRT to get the 10% discount by switching to an annual plan. Sign up right now and start off with a free 30-day trial.